The underlayment has excellent smoothing properties making it suitable for application by mechanical pump or by traditional mixing methods. It is protein free ensuring it is suitable for biologically sensitive areas. 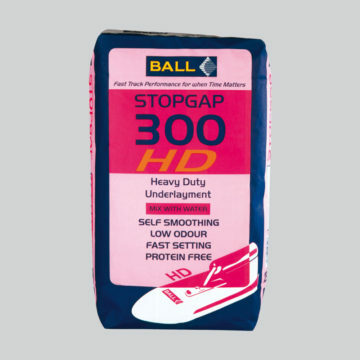 For thickness above 10mm, Stopgap Graded Aggregate is recommended for economy.